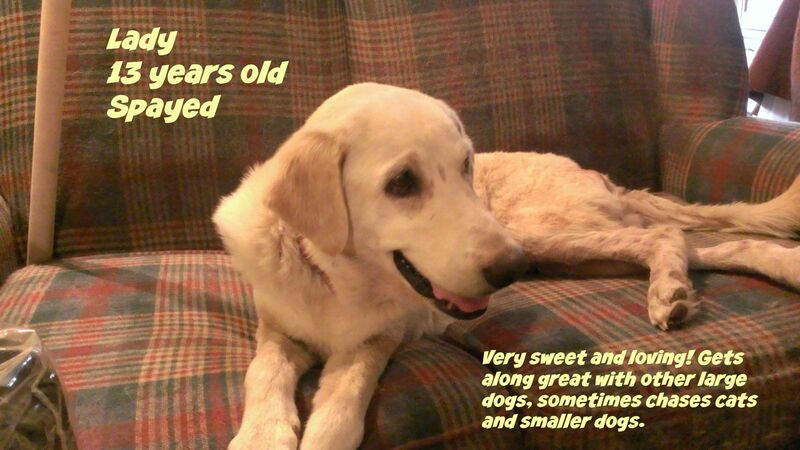 Old Dog Blog | Retired Retrievers | Our mission is to reduce the number of senior dogs who die alone in shelters. This is the story of Zoe Jane, as written by her mom, Heather. 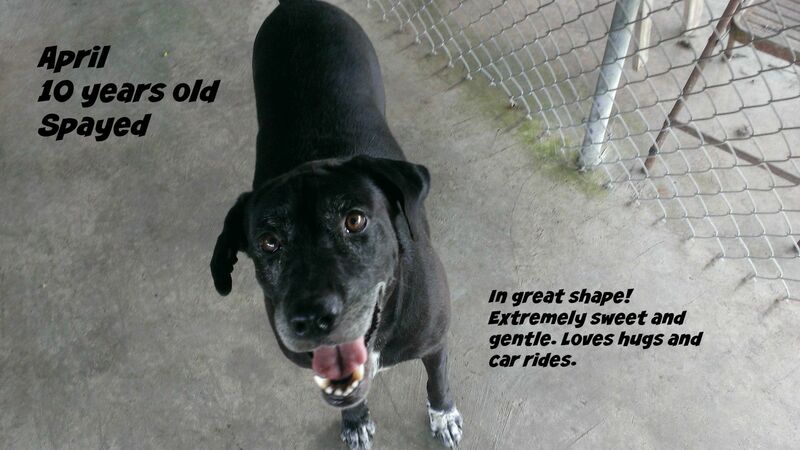 Thanks to Heather and Bill for sharing their sweet senior girl with us! 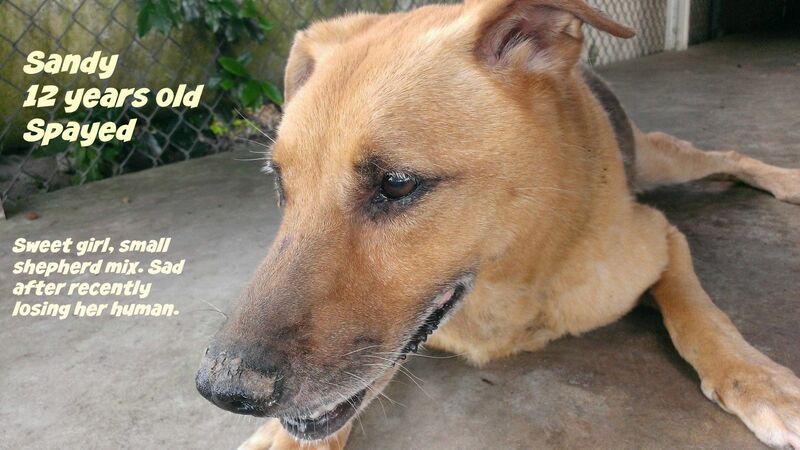 Our Zoe’s story started with a senior pup. When my brother stayed with me, he brought his 11-year old girl, Powdy. I was not thrilled at first but agreed. Wow – that girl melted my heart and became the puppy love of my life. She was the best companion and always up for an adventure and great travel partner. She loved the water and even had her own life jacket for swims in the lake. We were devastated when she crossed the rainbow bridge less than two years later. My heart ached, and I have never cried so much in my life! After a month of crying, we found our Gracie (nee Jasmine), a then 4-year-old Lab at the Hinsdale Humane Society, one of our local shelters. 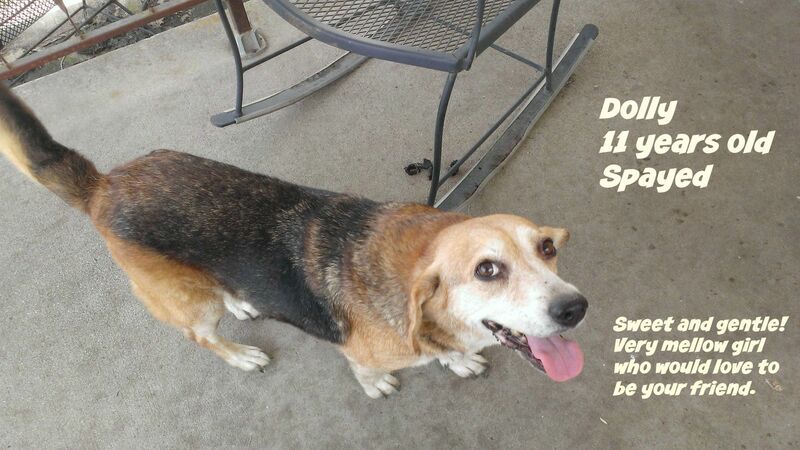 She was owner surrendered after being caged 12-15 hours a day, skittish, with little social skills. It took time and lots of love to convince Gracie we would never hurt her and she was safe in her new home. We love our Gracie and knew we had more love to give. After months of building my case for the addition of a second pup to our lives, I came across ‘Marlene’ at the same shelter where we adopted Gracie. I saw ‘Marlene’s’ photo and read her story (it indicated she was rescued from a Tennessee puppy mill) on the website. Her soulful eyes and story grabbed my heart. When we went to see her the first time, she was in the last kennel, of the last row, looking small and fragile. It was late, and we could not interact with her, so we went back the next day, and brought her potential ‘sibling’ Gracie with us. When they brought her out to us, you could tell from her eyes and weak body; she had a rough life, yet she welcomed the pets and wagged her tail in earnest. We also learned she was deaf and we’d need to find a way to communicate with her nonverbally. Was this a deal breaker? No way! It was an instant connection between Bill and me, and even bashful Gracie took a liking to her. We were in love! We adopted her, renamed her Zoe Jane, and brought her home! I shared the news of our Zoe Jane via social media. One of her amazing ARC rescuers sent me a message. I’m so thankful that she reached out and adore her to pieces. I learned Zoe was named ‘Marlene’ after her beloved Marlon, who she had loved and lost. 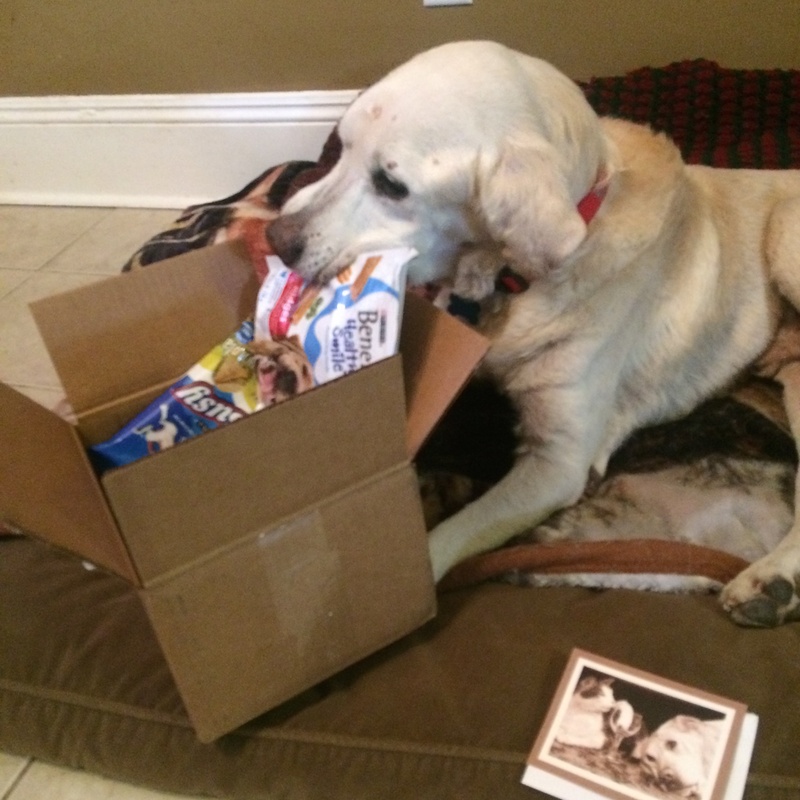 Zoe was part of the American Rescue Corps (ARC) ‘Operation Fall Freedom,’ an effort to save dogs from a deplorable, overwhelmed ‘animal rescue’ in Savannah, Tennessee. During the rescue, ARC found and removed 82 dogs ranging in size, breed, and age living in filth and waste filled crates and kennels across the property. 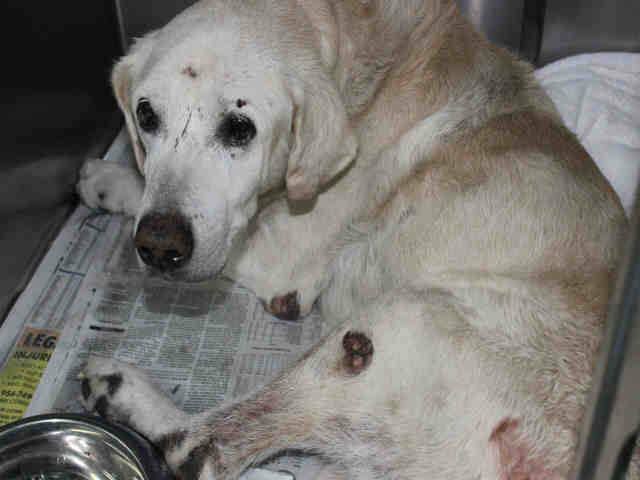 ARC found Zoe living in a 6 x 6 cage with six other medium to large dogs, her teeth were worn down, and a sore on her back. Despite living in such a confined space and lacking water and basic needs, ARC volunteers found her very dog- and people-friendly. ARC’s awesome contact with the Hinsdale Humane Society took a shine to Zoe’s beautiful face and asked to bring her into their program. That’s how Zoe became an Illinois resident and found her forever family! Despite her bleak past, Zoe is a loving, outgoing girl. She has gotten stronger and more steady on her feet and loves being outside. On walks, Zoe is the neighborhood greeter, wagging her tail, looking for pets, and giving kisses to anyone she can. She even has a ‘boyfriend,’ a black & white Pitbull named Patches and pulls us towards his house or down the street to see him. Zoe playfully ‘harasses’ the cat, taking her spot on the ottoman and like a ‘sibling’ good-naturedly taunts Gracie by intentionally blocking her entryway to a room or snuggling next to her (and mainly out of) the bed where Gracie was resting. Zoe loves being near you, and is often found resting her head on her ‘dad’s’ chest or curled up by his feet. She brings us so much joy. 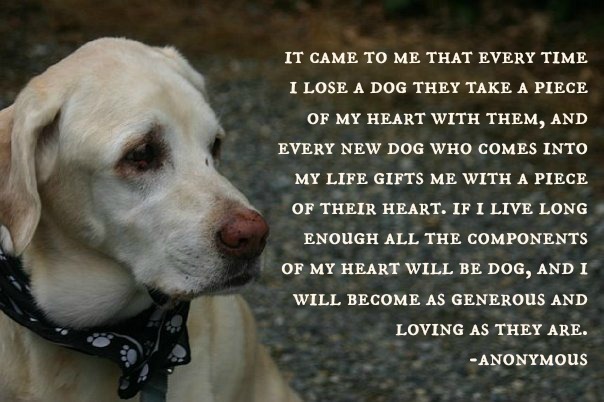 Someone once said to me ‘why would you do this, (i.e., getting an older dog), you’re just setting yourself up for heartbreak’. The question is – why wouldn’t you? Every day is a blessing with our girls, and I wouldn’t trade their little graying faces for the world. It’s a reality – all our days are limited yet I won’t dwell on the negative, I prefer to cherish the days I have with these pups and soak up the tail wags, cold nose nuzzles, and puppy kisses. Older pups are the best! Here is to giving them the best years of their lives, they’ve given me mine. Click here to see the full photo gallery from Operation Fall Freedom, where Zoe and 81 other dogs were rescued. Nonprofit rescues and shelters may apply to become ARC placement partners by emailing placement@animalrescuecorps.org. Anyone interested in volunteering with ARC should email their name, phone number, address, whether they are able and willing to travel outside their region at their own expense, and any relevant experience and resources to: volunteer@animalrescuecorps.org. Volunteers will be contacted if there is a need in their area. ARC publishes a list of each operation’s placement partners on Facebook once the animals are transferred, so anyone interested in fostering or adopting an animal from an ARC operation should contact these organizations directly to learn more about their foster and adoption processes. There are also many other animals – dogs, cats, birds, rabbits, horses, reptiles, and more – available through ARC’s partners and other great rescues and shelters around the country, so anyone looking to add a member to their family is sure to find the perfect match and save a life. 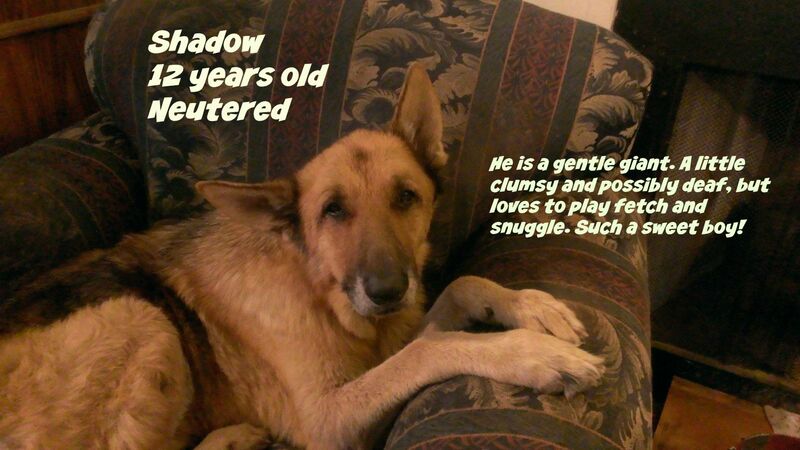 Because old dogs can’t speak for themselves, we need to try to decipher their stories for them. In some cases this is easier to do than in others. We were told that when Zeke was surrendered to the shelter by his owner on New Year’s Eve he was depressed, emaciated, covered in fleas, not neutered, heartworm positive and had several tumors. 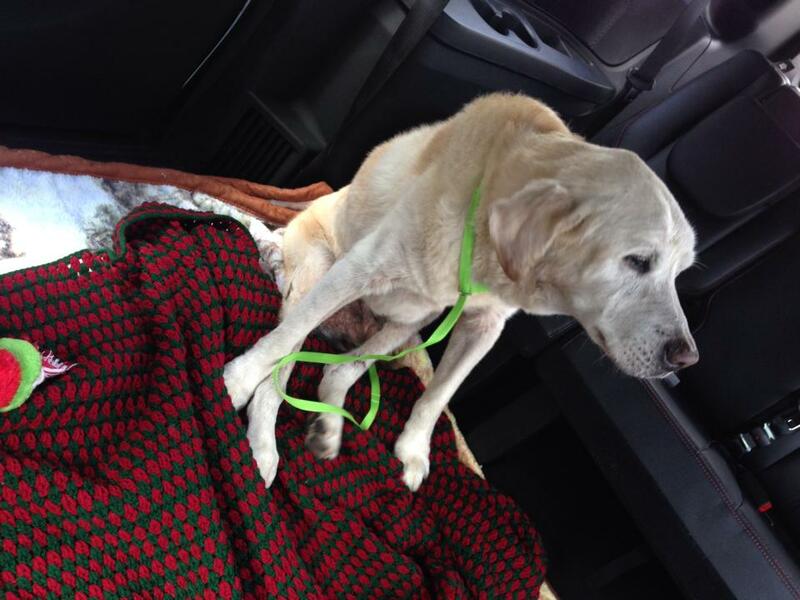 This led us to create the story of a neglectful owner who willfully let this dog suffer. We found out today that we were wrong. We found out today that the man who turned Zeke in to the shelter was an 86-year old veteran who rescued him from a bad situation with a family member. 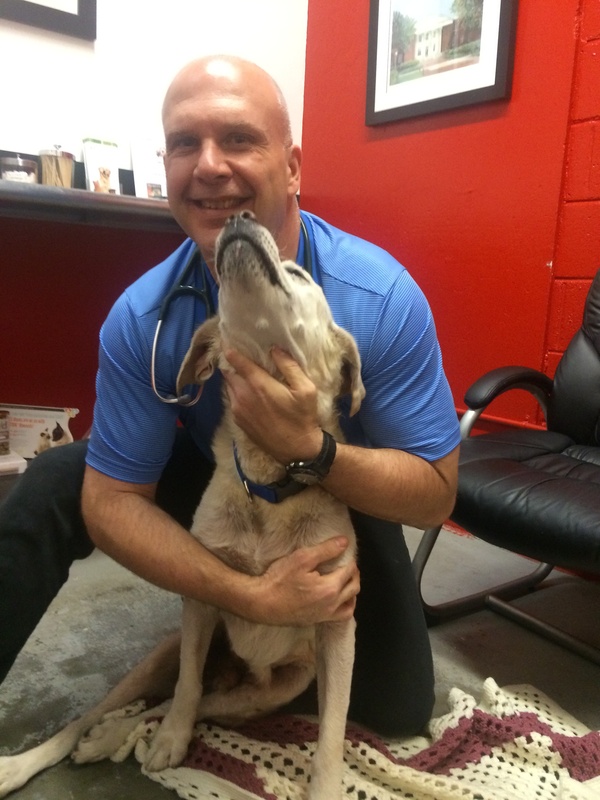 The man wanted more than anything to give Zeke a wonderful life but financial limitations made it difficult for him to provide enough food, let alone any medical care. And physical limitations made it difficult for him to care for a dog at all. He was in tears when he left Zeke at the shelter, but he was doing the only thing he thought he could do to give Zeke a chance, even if it meant losing his old friend. We also found out today that Zeke’s real name is Max. Shelter staff named him Zeke in lieu of not having a name, but someone who was working when Zeke arrived was also working this morning when our volunteers arrived to pick him up. They said the man was calling him Max. Okay, so Zeke is now Max. Or Max has always been Max. We were just calling him Zeke. Anyway, his real name is Max. Max is one lucky boy. 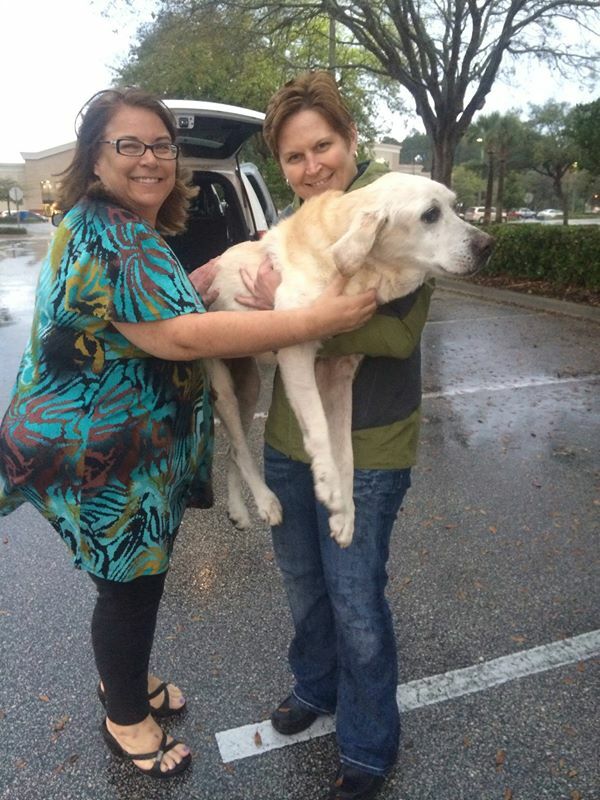 Our friends Jenn and Jessica picked him up from the shelter this morning and drove him from Edgewater, FL, to St. Augustine, FL. There he met up with Amanda and Jim, who drove him from St. Augustine to the Florida/Georgia border (This was just one of Jim and Amanda’s two volunteer transports today). We met them at the Florida/Georgia border and drove him the rest of the way to Savannah. As is customary for all of our rescue dogs, we took Max through the McDonald’s drive-thru for his Freedom Burger on our way up I-95. We don’t typically feed the dogs fast food, but we believe that any dog who has been in a shelter for any period of time deserves to be spoiled on the day he gets out. The first day of the rest of their lives is a cause for celebration. Today’s Freedom Burger was compliments of two adorable girls in Minnesota. Lucy and Becca sent us a Christmas card that included a McDonald’s gift card in it to be used specifically for Freedom Burgers. As you can see in the photo, Max was very appreciative of their kindness. 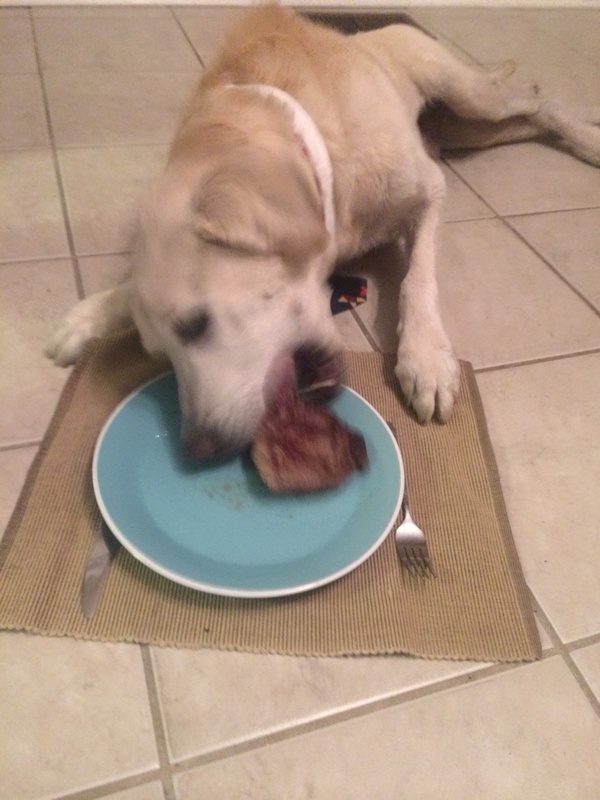 We usually need to unwrap the burgers for the dogs and we sometimes break them into smaller pieces, but Max dove right in and helped himself. 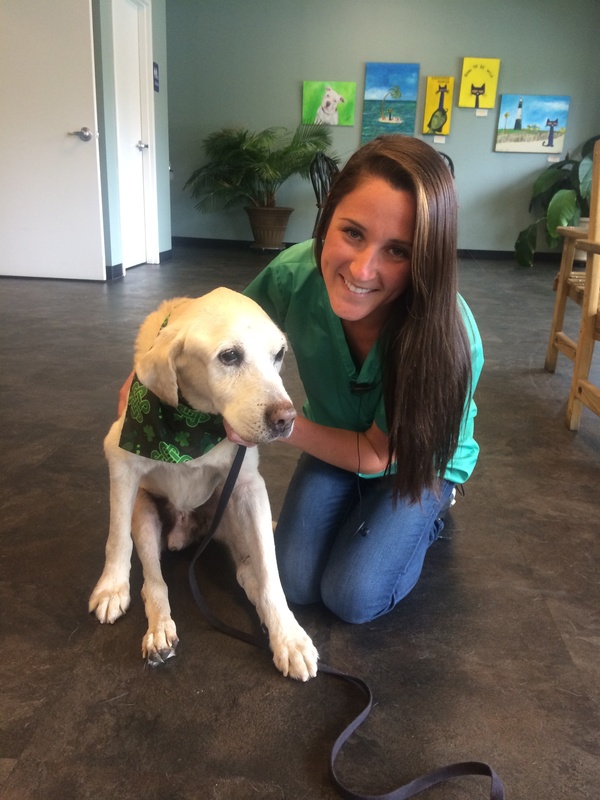 Thank you to Lucy and Becca for making this old shelter dog so happy. What we know so far about Max is that he is a very sweet boy who deserves a family of his own. We think he is 8-9 years old. He seems to be housebroken. He rides well in the car. He gets along with other dogs. Despite his health issues, which are all fixable, he is in really great shape. He’s going to make a wonderful companion for someone. And he’s already handsome, but once he gets some weight on him and a little TLC he is going to be gorgeous. Thank you to Jenn, Jessica, Amanda, and Jim for spending part of their weekend helping an old dog get a second (or third) chance at happiness. 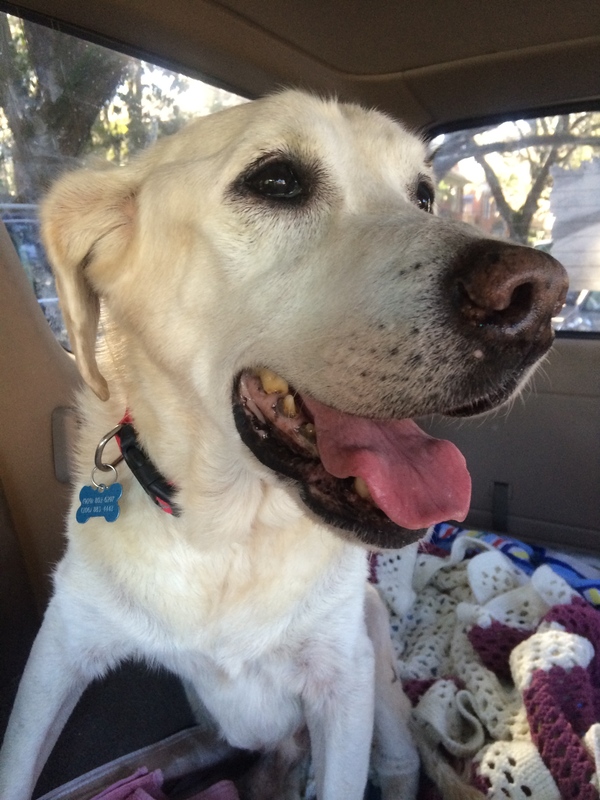 And thank you to the staff and veterinarians at the Edgewater Animal Shelter for taking such great care of Max and making sure he gets to enjoy his retirement years. 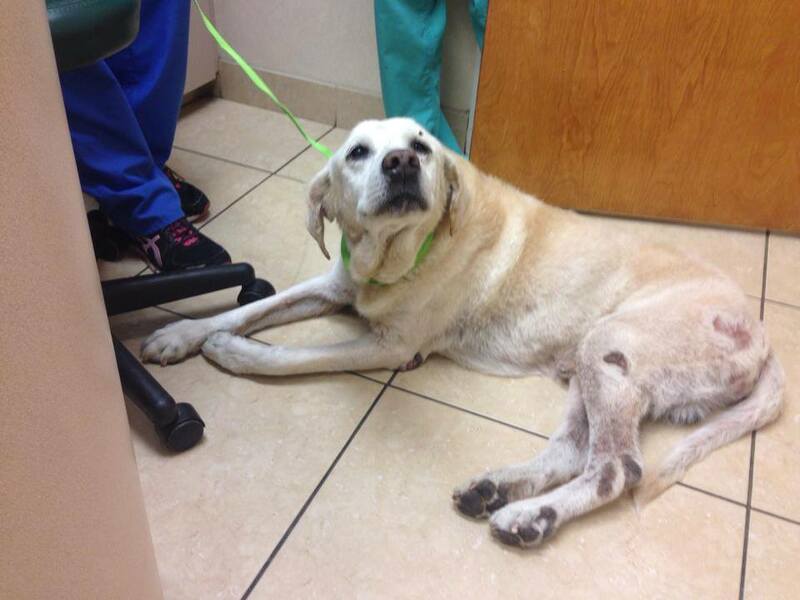 If you would like to help cover the costs of Max’s medical care, please click here to donate. And we are still looking for a foster home in the Savannah area; if you think this could be you please email us at suzanne@retiredretrievers.org to discuss. 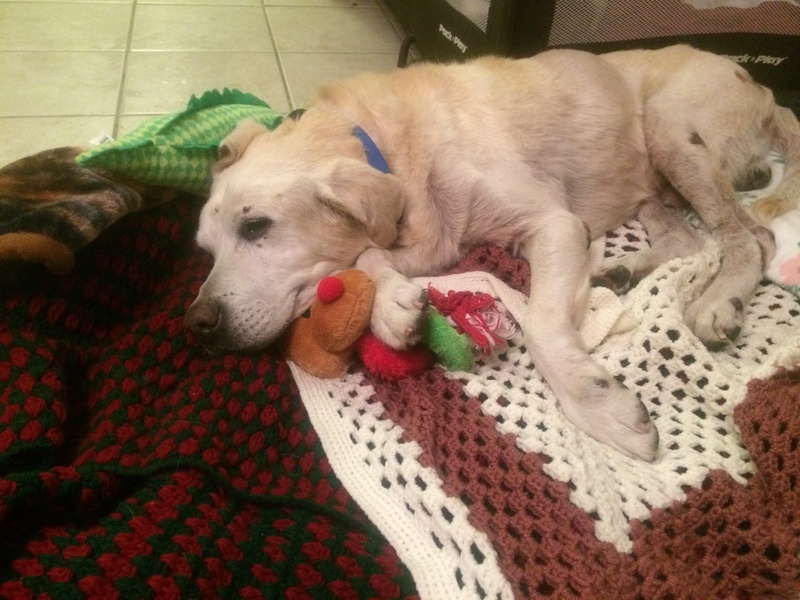 Welcome to the Retired Retrievers family, Max. We’re so glad you’re here! She may not be a retriever, but she is definitely retired. When we saw Button’s shelter picture online we jus t couldn’t look away. 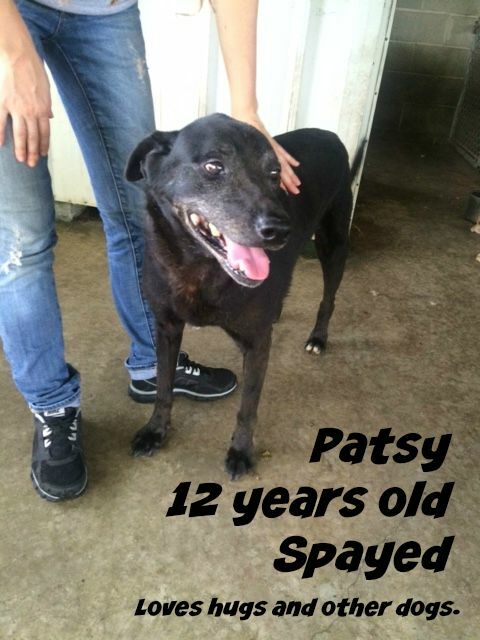 She is 13 or 14 (or a million) years old and has cataracts, dental disease, missing teeth, a hernia, and mammary tumors. She was also covered in ticks. The shelter said that Button was picked up as a stray, but she couldn’t have gotten very far on her own. Based on the condition she was in, we have a feeling she may have been used by a backyard breeder to produce some very expensive Shih Tzu puppies and then dumped when she became too old to be valuable to them. Fortunately for Button and for us, there are some really great people in the world. We reached out to our friend Wendy to ask for help and then everything started falling into place for Button’s rescue. Button was at a shelter in Fort Lauderdale, Florida, and we are in Savannah, Georgia, so we couldn’t just hop in the car and go get her. Wendy was out of town, but she asked her friends Ellis, David, and Eryn to coordinate getting Button out of the shelter and safely to Eryn’s house. Eryn loved and cared for Button for a few days until we could move her to Savannah. She also coordinated Button’s spa day which we know had to make her feel better. The folks at Kritters with a K made Button look, feel and smell wonderful. 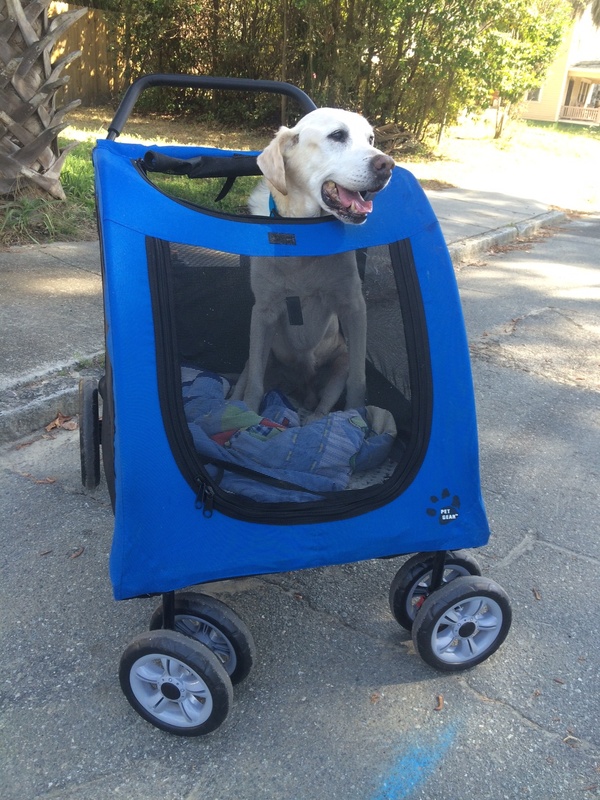 In the meantime, Wendy coordinated an all-volunteer transport to help Button get to Savannah today. She started her morning in Fort Lauderdale with Eryn and Wendy and then met up with Lori who drove her to Palm Beach Gardens. Ellen picked Button up in Palm Beach Gardens and drove her to meet Stefani in Vero Beach. Stefani drove her to Cocoa Beach, where she met up with Jessica and Jenn. They drove her to Daytona Beach, where she met up with Ron, who drove her to St. Augustine to meet up with Jim and Amanda. 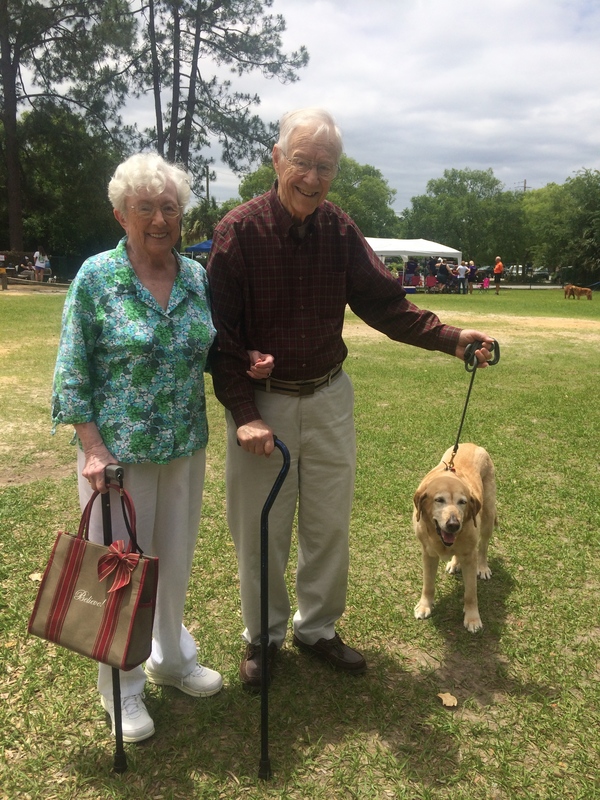 They drove her to Yulee where she met up with us and our friend Cheryl, and we brought her home to Savannah. 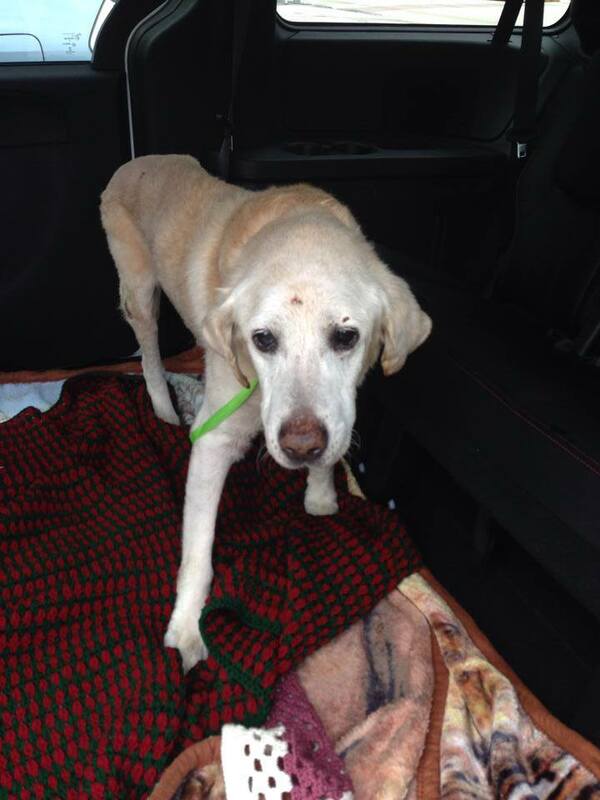 Every single one of us who met Button today and helped with her transport fell in love with this fragile old dog. We don’t know what her life was like before Wednesday of this week, but we know what her life will be like from here on out: for whatever time she has left, Button will know nothing but love and happiness. She will see our friends at Central Animal Hospital on Monday and we will make sure she gets all of the care she needs. If you would like to support Button’s recovery, please click here to make a tax-deductible donation. Thank you to Just Jack’s Rescue for coordinating Button’s release from the shelter. Thank you to Eryn for welcoming Button into her heart and home this week. 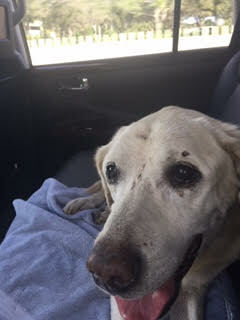 Thank you to all of Button’s transport drivers for spending part of their weekend helping an old dog. And thank you to Wendy for coordinating all of this and for always being there when we – and the animals – need her. We look forward to posting more Button updates very soon. Editor’s Note: This is a guest post written by Al Steuber, father of Sadie Steuber. Click here to read a previous post about this wonderful family: https://retiredretrievers.org/2014/11/30/sadiesretirementhome. And click here to see their interview on WTOC Mid-Morning Live: https://www.youtube.com/watch?v=cdTGvhbGipw. When we opened the foyer door that painful August afternoon I knew she wouldn’t be there. The emptiness was confirmation. Allie’s gone. A foyer greeting had been her trademark. No matter that one of us remained, when the other left Allie camped in front of the foyer door until the person returned to receive his or her hind end wiggling, tail wagging greeting. We endured an empty foyer for six long weeks and it may have continued to this day but for our daughter Amy, a savior named Suzanne (more later) and the grace of God. I’ve told the story elsewhere – Amy’s web search, my initial rejection, my inexplicably tapping out an email to Suzanne, our test visit with a rescue dog found wandering without ID in a Food Lion parking lot. Not a test really, an instant love affair. Sadie’s been a family member for seven months now and has settled in to a routine as predictable as a metronome. Her day begins when I sense a thump on my side of the bed as she slaps a paw near my head. If I open my eyes I’m looking into hers. If I don’t, she soon removes her paw and that’s the last I hear from her, displaying a characteristic repeated multiple times each day: patience. When I do get up she’s at my side knowing breakfast is about to follow which has its own routine. With her dish on the floor I pour in the first cup of kibble with one hand while trying to fend off her head with the other. She quickly wins and begins inhaling the first cup as I pour in the other. By the time I get her incontinence pill out of the bottle to drop in her food the dish is usually empty. She’s an eating kamikaze! She follows me to the kitchen and takes up her favored position lying just at the entryway giving me the best chance of tripping over her as I exit with my orange juice. Then she lies in front of me without complaint as I turn on the TV, check my email and finish my orange juice. Mind you she has not emptied her bladder for at least twelve hours and she’s ten years old! Not until I leave my chair does she show any sign of impatience, hurrying toward the door. Even then, and this is something Amy remarked on, unlike many dogs who push you aside as they bolt through the door she waits to be invited. Then comes one of my most appreciated performances, her marshes toilet. Not immediately. First she sniffs and pees several places and several times, even partially lifting her leg occasionally in comic imitation perhaps of something she has observed? Then she trots along the edge of the marsh making partial entries until making her final selection where she disappears exiting somewhere else down the line. She trots back to me expecting and receiving her treat, one of her three daily glucosamine tablets. This habit, the marshes toilet, is one of two uncommon performances she shares with her predecessor, Allie. Next comes my breakfast, usually an English muffin which, like all of our meals she expects to share, her head containing a food magnet. She lies in front facing me never taking her eyes off my movements. When down to the last bite of the first muffin she stands and waits, again patiently, knowing that piece belongs to her. After taking it none too daintily she resumes her lying-in-wait position knowing we’re only half done. Gulping her last bite she whirls, almost as if choreographed and trots into the bedroom. Thus begins, for me, her most heartwarming performance, uncannily similar to Allie. She tucks herself as close to the bed as she can beneath mom and stays there until mom gets up, sometimes three or more hours later. This time I won’t say “as if” but “because” she senses a need. Especially as mom declines cognitively Sadie’s presence beside her chair, hand resting on Sadie’s head, is one unchanging constant in mom’s world. That Sadie returns the affection makes the bond complete. With all the bonding description given to Sadie and mom I don’t want to leave the impression she treats me as a potted plant and food stop. During her morning bedside vigil she occasionally comes out and stands in front of me for a pet before returning. I’m pretty sure this is her way of assuring me I’m not forgotten. She’s much too sensitive to people’s feelings to do otherwise. Occasionally too she leaves mom’s chairside to join me when I’m in my den. I often ponder Sadie’s background and wonder how anyone could part with such a complete and loving dog. She’s obviously trained, well socialized with people and other dogs. She’s already become a favorite with neighbors (the dog aware type) and staff. I marvel too at the brief moment in time when the stars were aligned. She was only in foster care for two weeks. As a family we are whole again. We open the door in happy anticipation knowing the foyer is empty no more. This story is incomplete not mentioning a remarkable lady without whom there would be no story. When my daughter searched the Internet she was surprised to find an organization in this small city that seemed to fit her search requirements precisely: older Labrador retrievers. My daughter, Amy, presumed the person who responded to her inquiry, Suzanne, was a spokesperson for the organization. Turns out she was the spokesperson but much, much more. 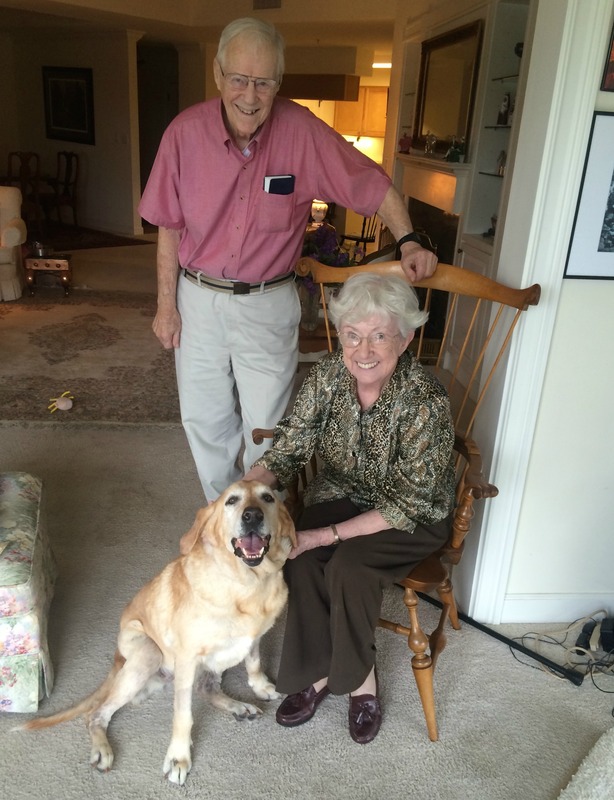 Suzanne Mooney IS Retired Retriever Rescue. Along with what I presume to be a supportive husband she takes in and houses old retrievers herself, searches out foster caretakers, participates in rescue chains accepting dogs from other states, attends adopt-a-dog fairs, solicits donations thanking each donor personally, publishes a blog and maintains a Facebook presence. You get the picture. Now for the kicker – she also holds down a full time job! I don’t know how she does it but then, as I pointed out, she is one remarkable lady.